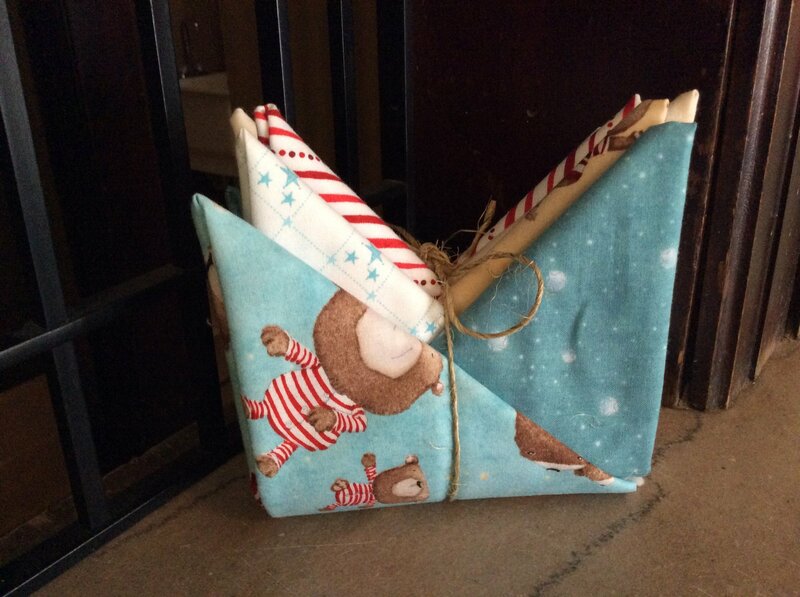 All Stars Fat Quarter Bundle has 6 fat quarters each measuring 18X22". 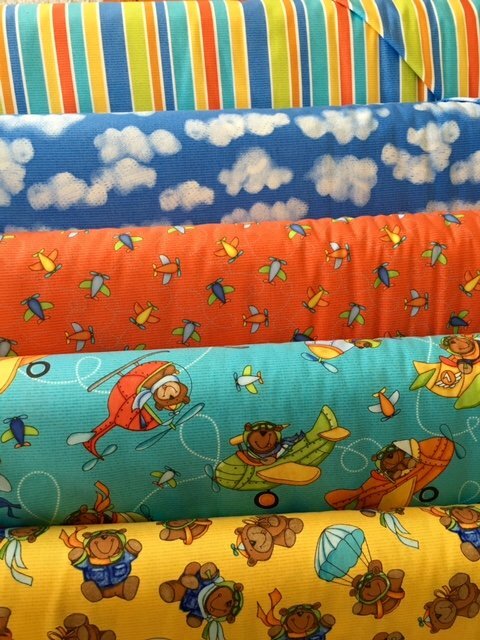 Baby Zoom Flying High by Northcott featuring 5 fat quarters approximately 18" x 22" each. 100% Cotton. 43"/45" wide. 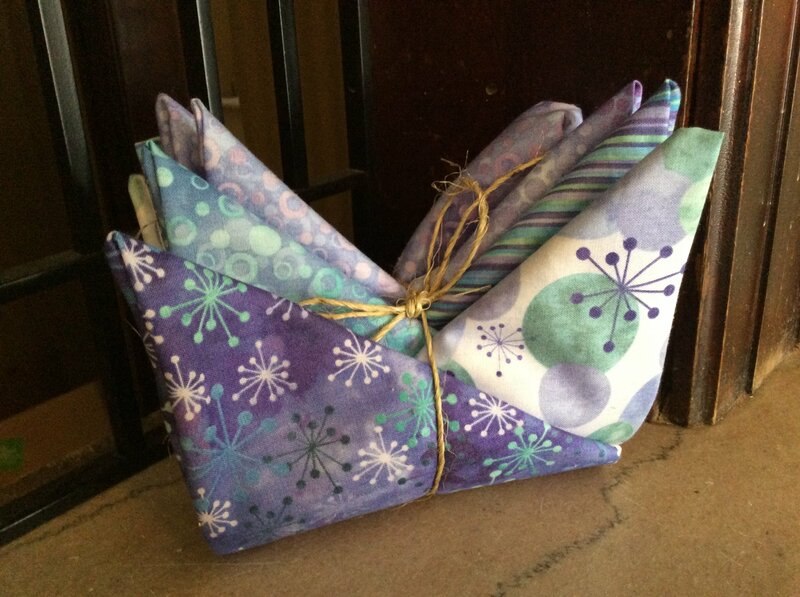 Fat quarter bundle featuring six batik fabrics in blues, greens, pinks, and purples. 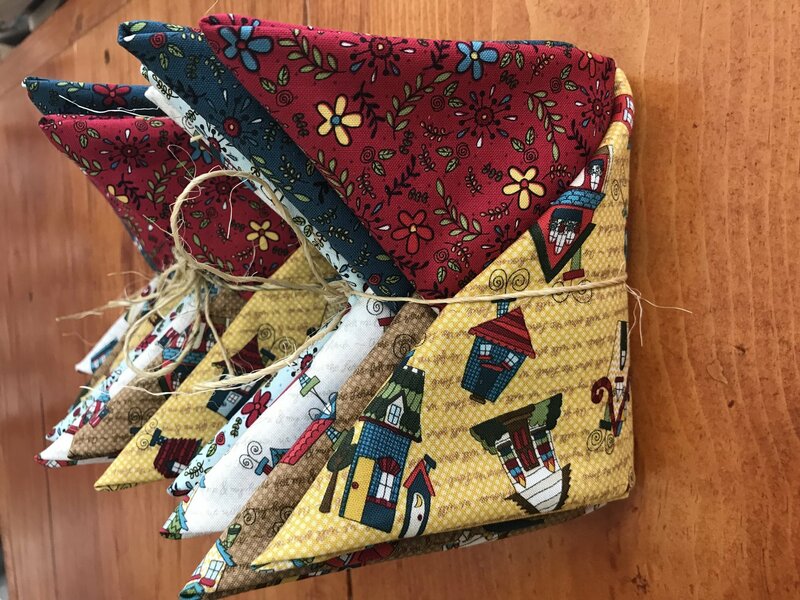 Bless This Home Fat Quarter bundle features 6 fat quarters from the Little Red Hen Line for Henry Glass & Co. Each piece measures approximately 18" x 22". 100% cotton. 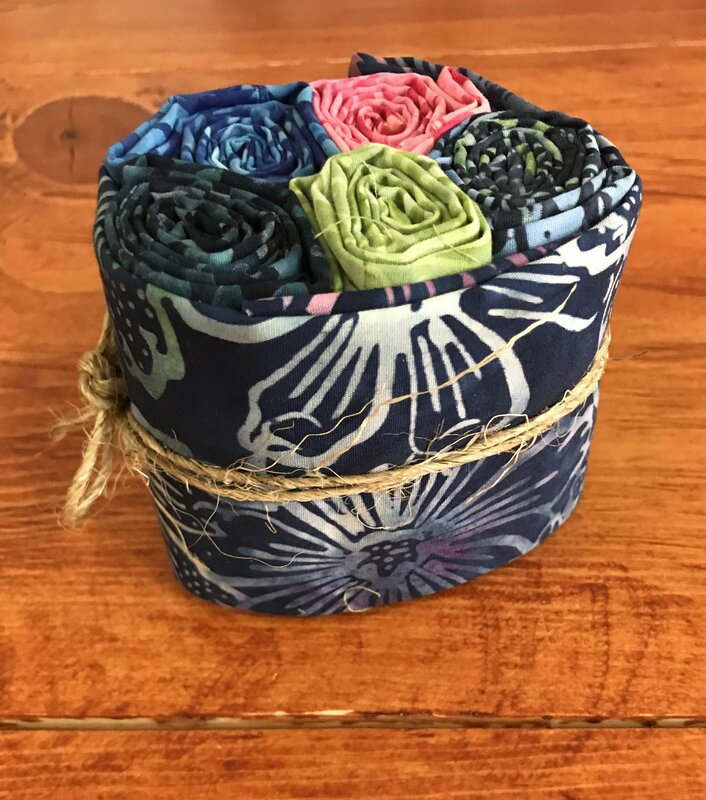 Bohemian Chic by Clothworks Fat Quarter Bundle. 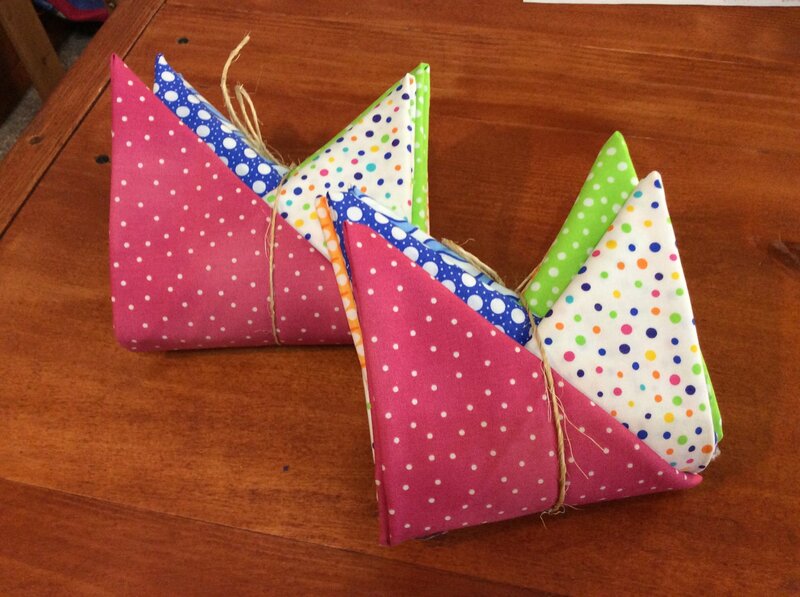 Bundle is made up of 6 fat quarters approximately !8" X 22" each. 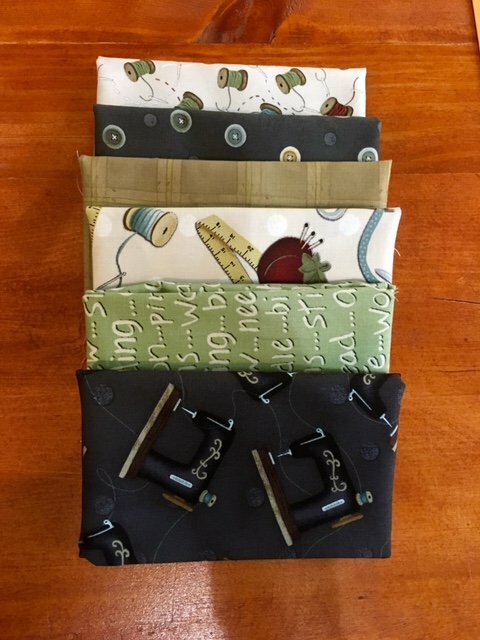 Chablis fat quarter bundle featuring 5 fat quarters of Chablis by Exclusively Quilters. 1 fat quarter approximate 18" x 22". 100% cotton. 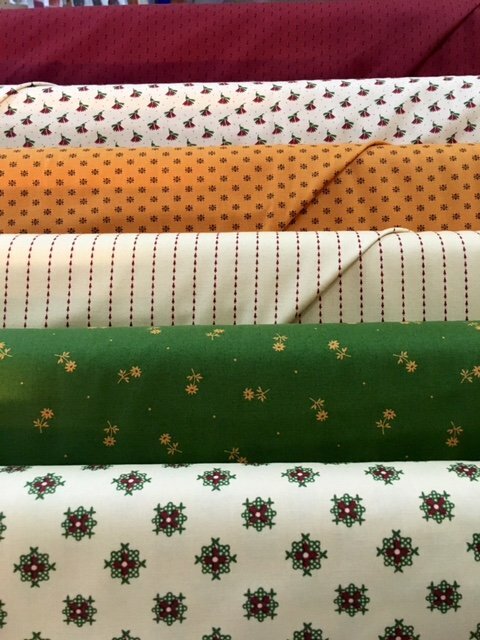 A fat quarter bundle of coordination fabric for the Chantilly fabric line from Moda. 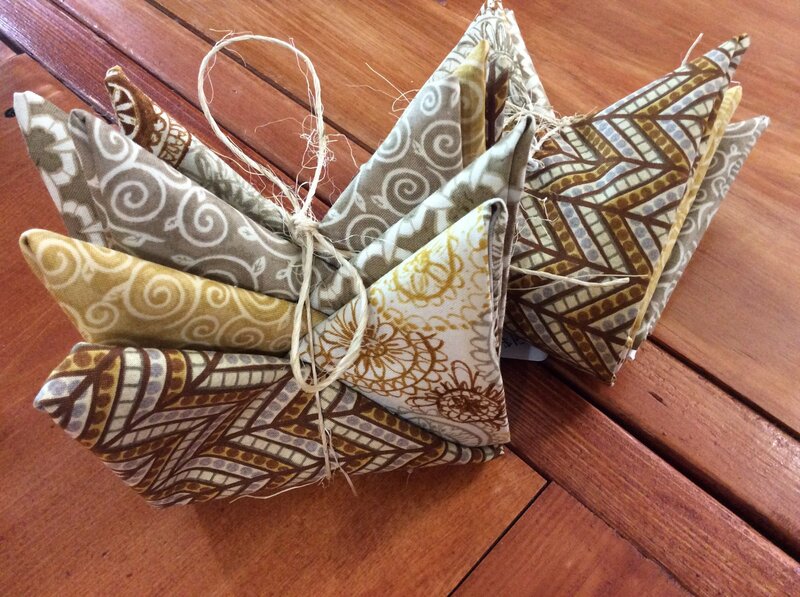 Six fat quarters from the beautiful Christmas Gatherings Line by Primitive Gatherings. Each piece approximately 18" x 22". 100% Cotton. Confetti orange, bright blue, green and blue along with beautiful basics in pink with white polka dots. 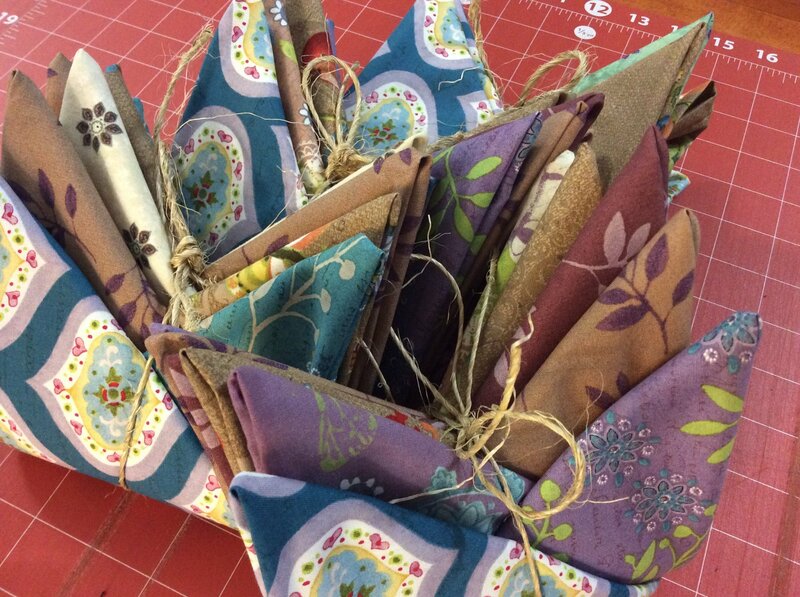 Each bundle contains 6 coordinating fat quarters approximately 18" x 22". 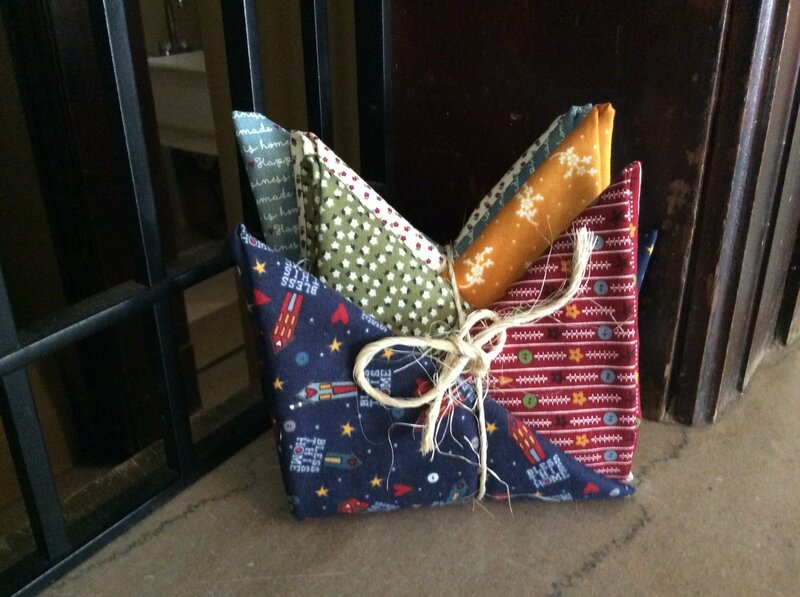 Cosmic Fusion by Northcott Fat Quarter Bundle. Six 18" X 22" pieces of fabric. 100% Cotton. Please indicate orange/red, blue/green, or blue/purple for which bundle you would prefer. 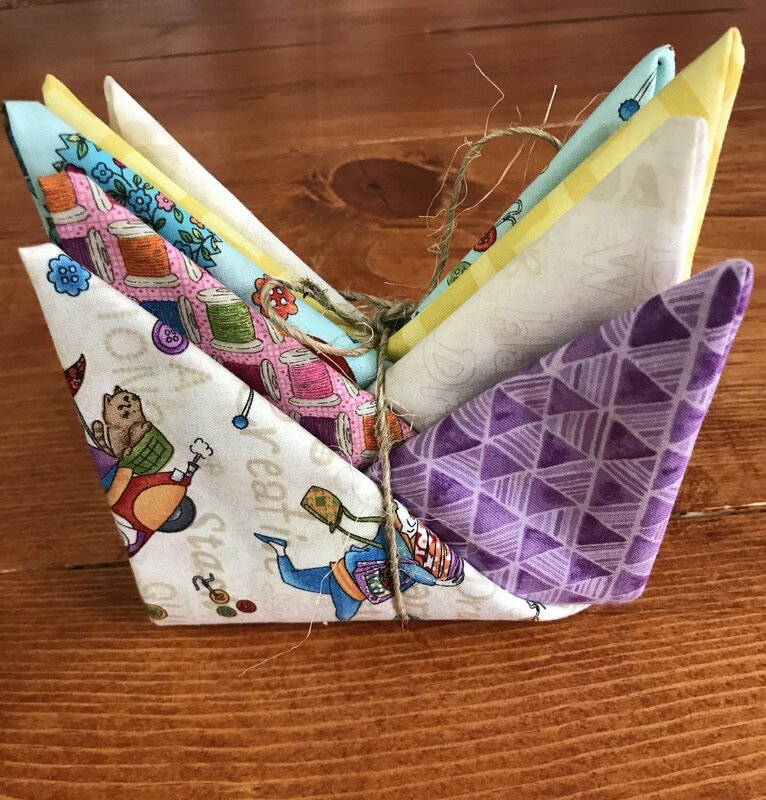 Covered in Truth Fat Quarter Bundle includes six fat quarters from the Covered in Truth line. 100% cotton. 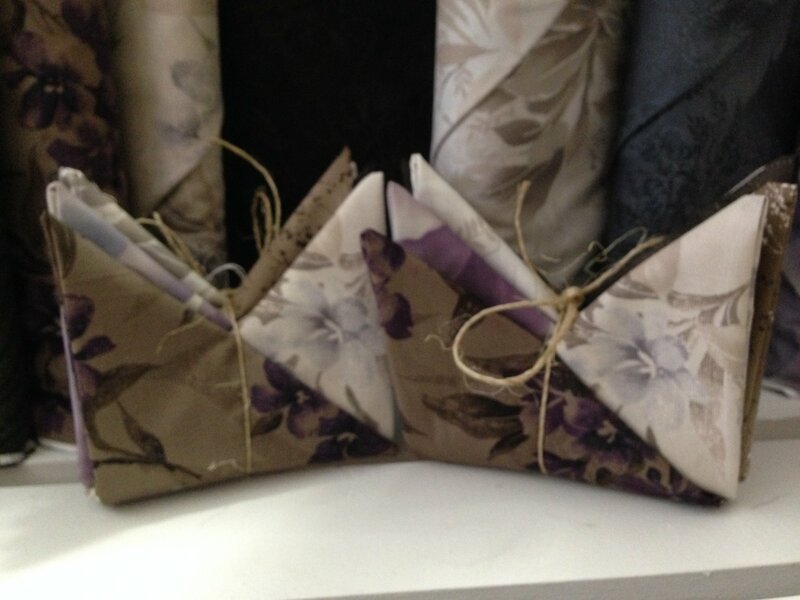 Fat quarters approx 18" x 21"
Six Fat quarters of Gypsy Lane by Camelot Fabrics. Each piece approximately 18" x 22". 100% cotton. 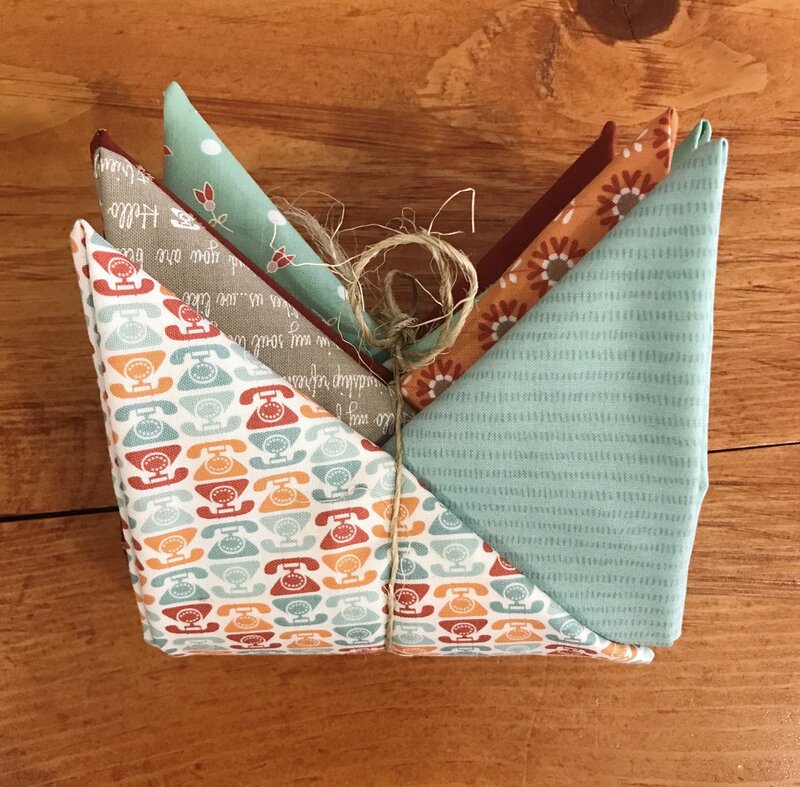 Hello My Friend by Moda fat quarter bundle. 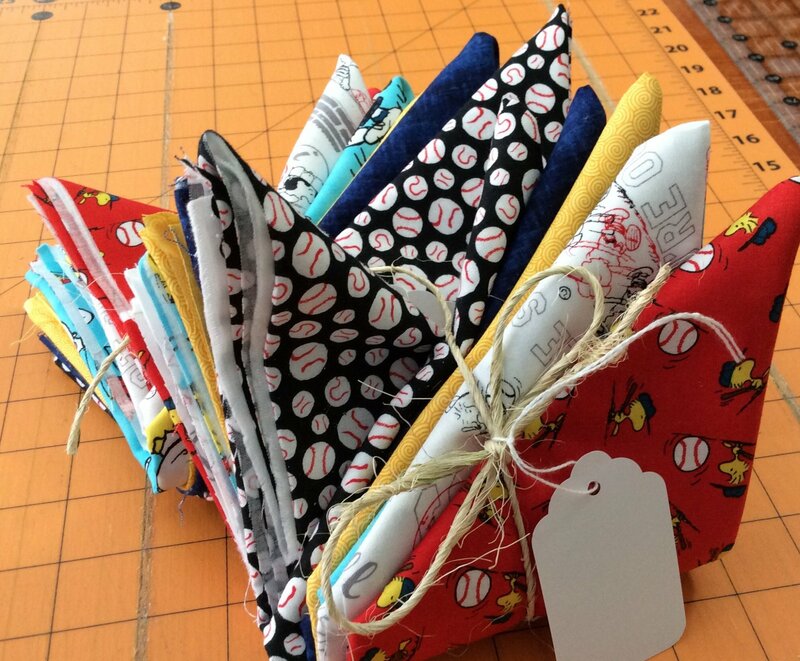 Bundle includes 6 fat quarters (4 from the Hello My Friend line plus 2 coordinating prints.) One fat quarter measures approximately 18" x 22". 100% cotton. Helping Hands by Henry Glass Beautiful tans, reds and black. 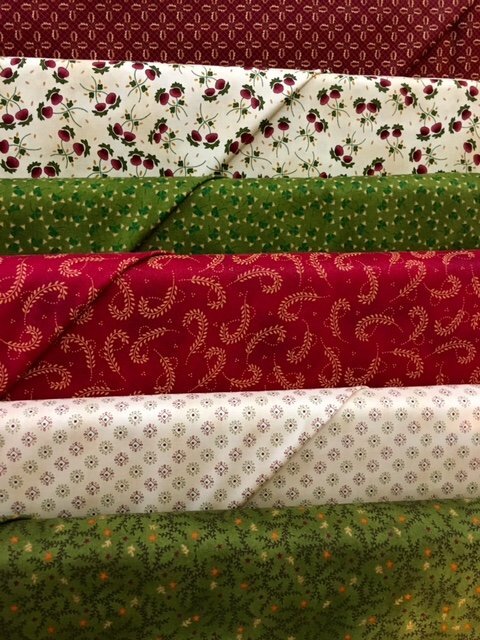 Hi De Ho Fat Quarter Bundle - 6 fat quarters (approximate 18" x 22"). 100% Cotton. Land That I Love fat quarter bundle includes six prints from the Land That I Love line. Fat quarters approx 18"x21". 100% cotton. 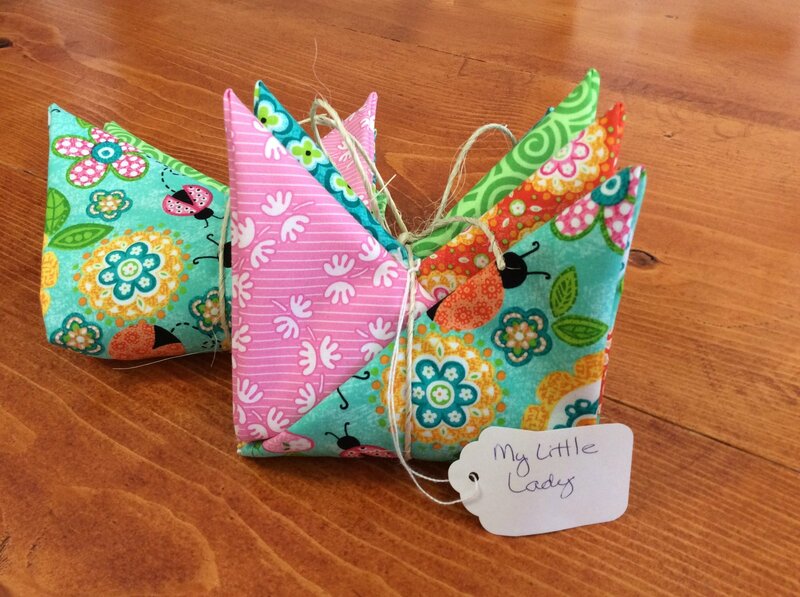 My Little Lady Fat Quarter Bundle - 5 fat quarters (approximate 18" x 22"). 100% Cotton. My Sewing Room Fat Quarter Bundle featuring 6 pieces from the My Sewing Room line by Kathi Campbell. Each piece is approximately 18" x 22". 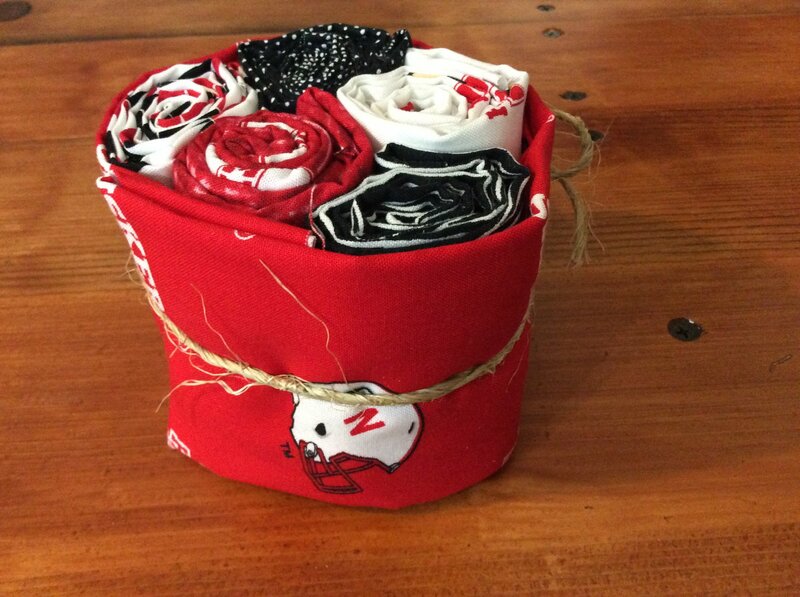 Cheer on the Huskers with this Nebraska fat quarter bundle. Nebraska print fabric and black, white and red coordinating fabric. 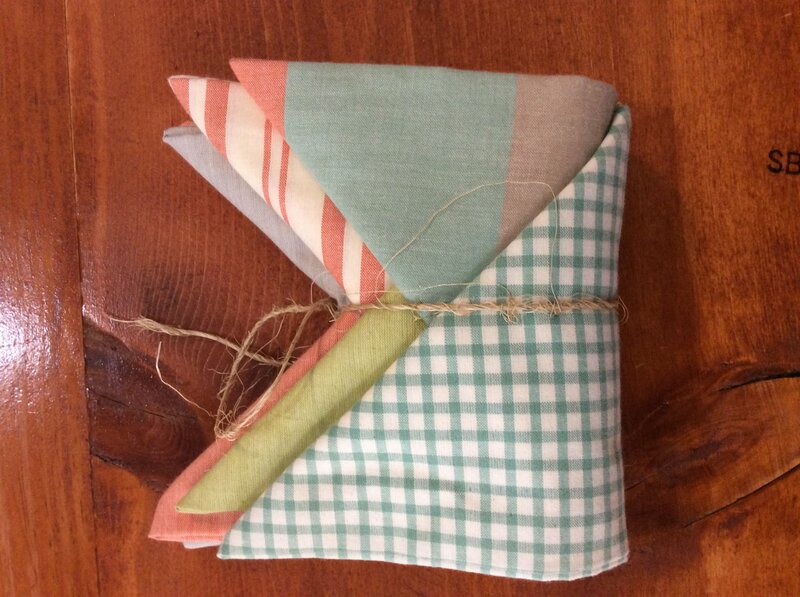 Pastel Woven Fat Quarter Bundle features 6 fat quarters (approximately 18" x 22") in stripes, plaids, and solids. 100% cotton. 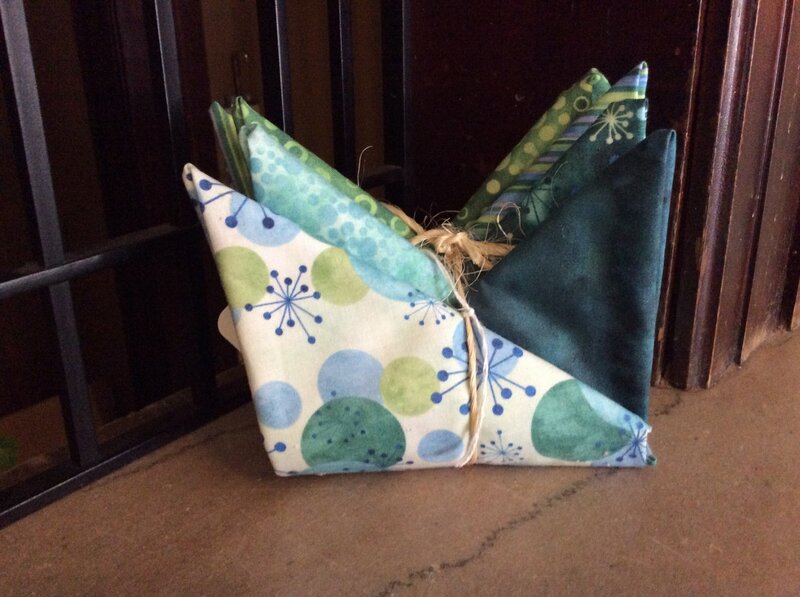 Perfect for woolie mat backings or for your favorite fat quarter friendly pattern. 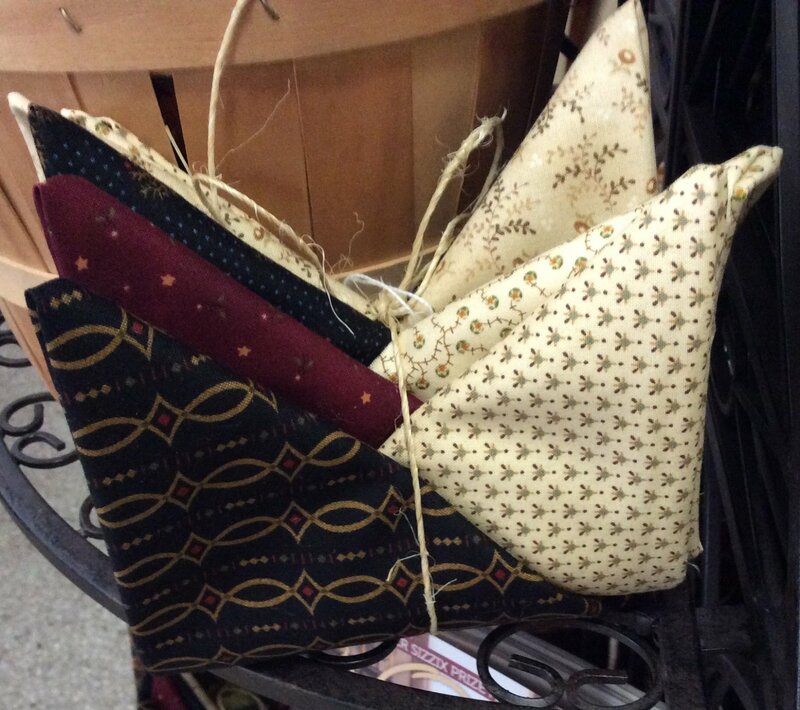 Pie Making Day by RJR Fabrics Fat Quarter Bundle. 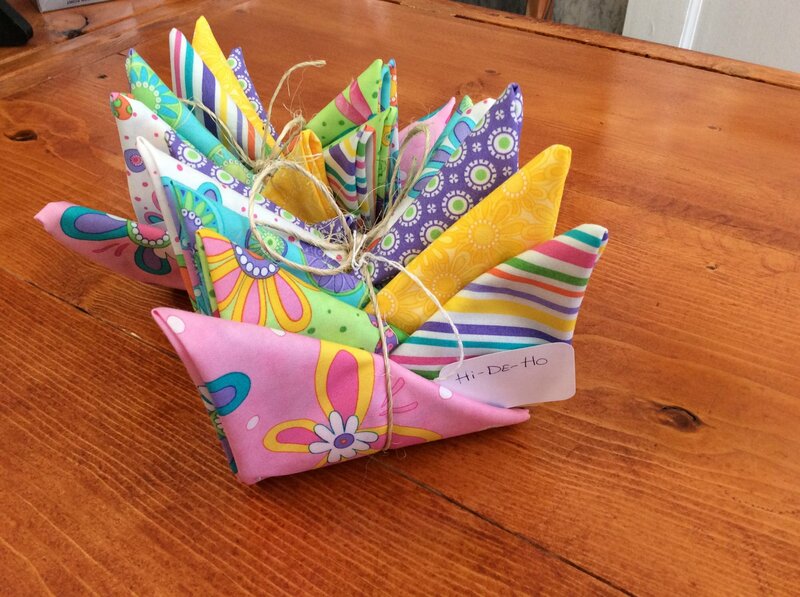 Bundle made up of 6 bright spring colors, great for a new Spring project! Each piece measures approximately 18" X 22". 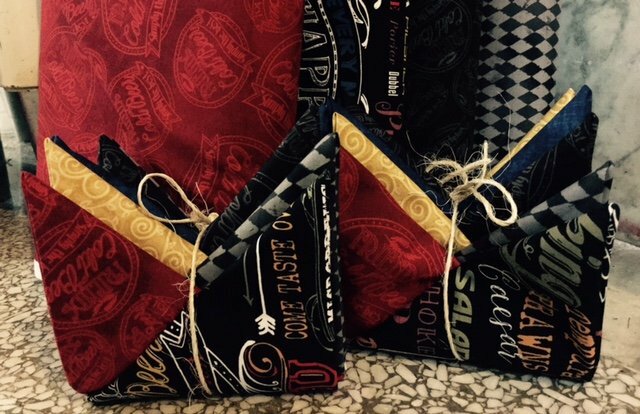 Pub Crawl Fat Quarter Bundle features 6 fat quarters from the Clothworks line. Each piece measures approximately 18" x 22". 100% cotton. 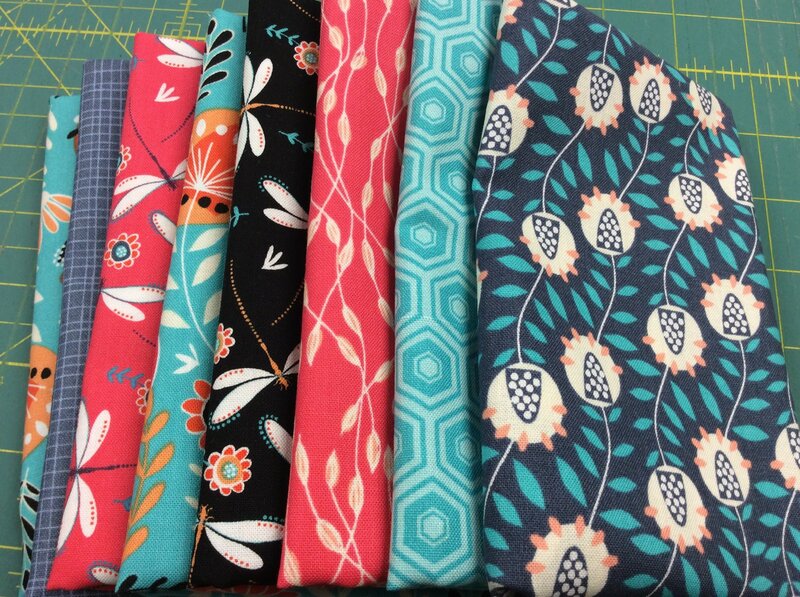 Refresh Fat Quarter Bundle by Moda. Six pieces of fabric 18" X 22". !00% Cotton. 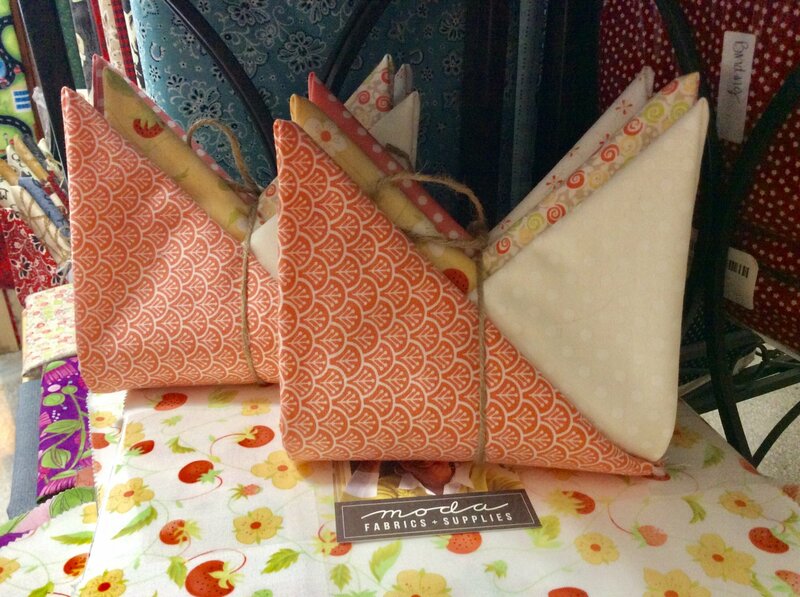 Salem Quilt Show by Meg Hawkey for Maywood Studio fat quarter bundle. 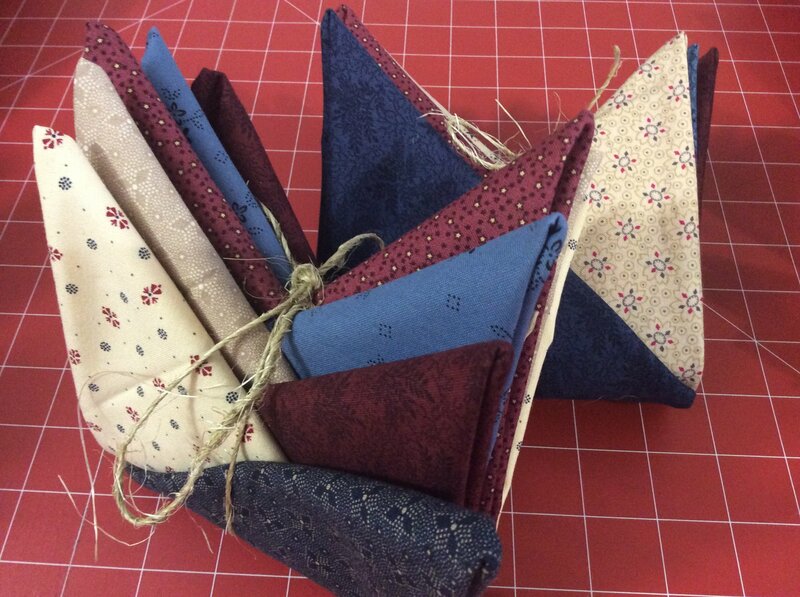 Bundle includes 6 fat quarters (4 from the Salem Quilt Show line plus 2 coordinating blenders.) One fat quarter measures approximately 18" x 22". 100% cotton. 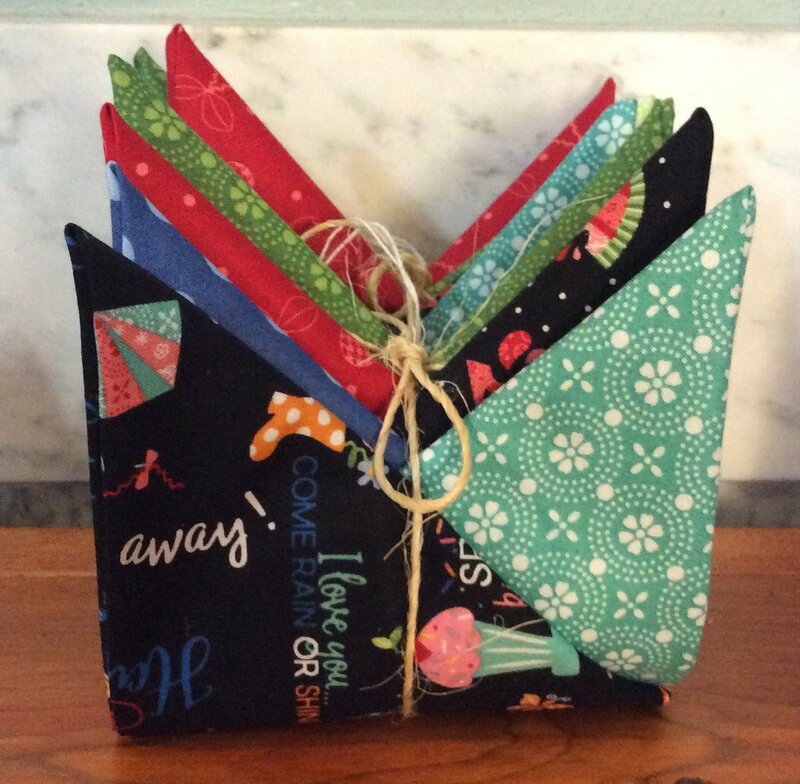 Shine Bright Fat Quarter Bundle features 6 coordinating fat quarters from the Shine Bright Line. Each piece measures approximately 18" x 22". 100% cotton. 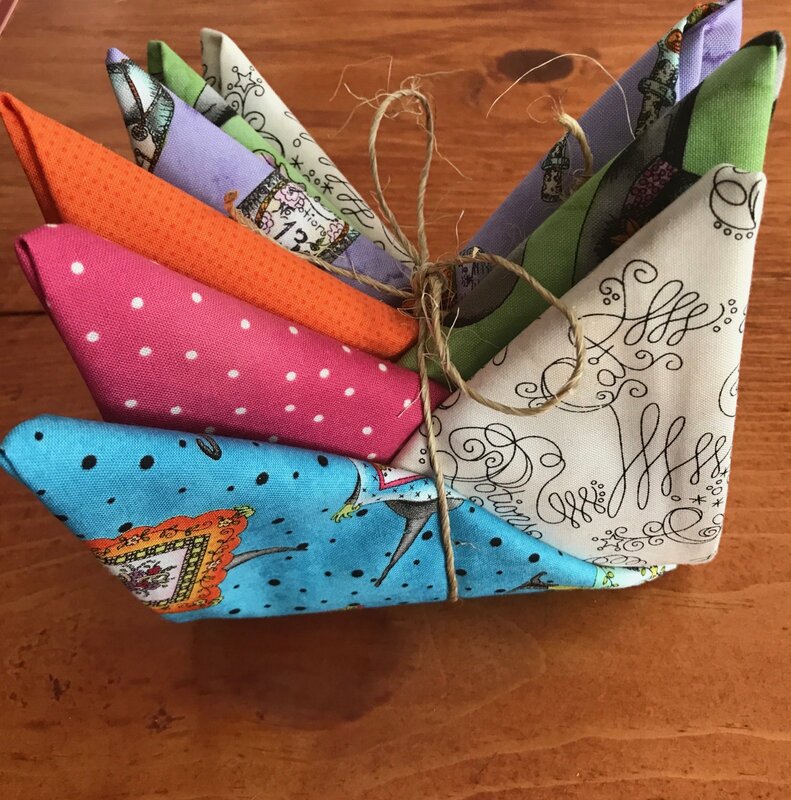 Shop Hop Fat Quarter Bundle features 6 fat quarters from the Shop Hop line by Henry Glass and coordinating blenders. Each piece measures approximately 18" x 22". 100% cotton. 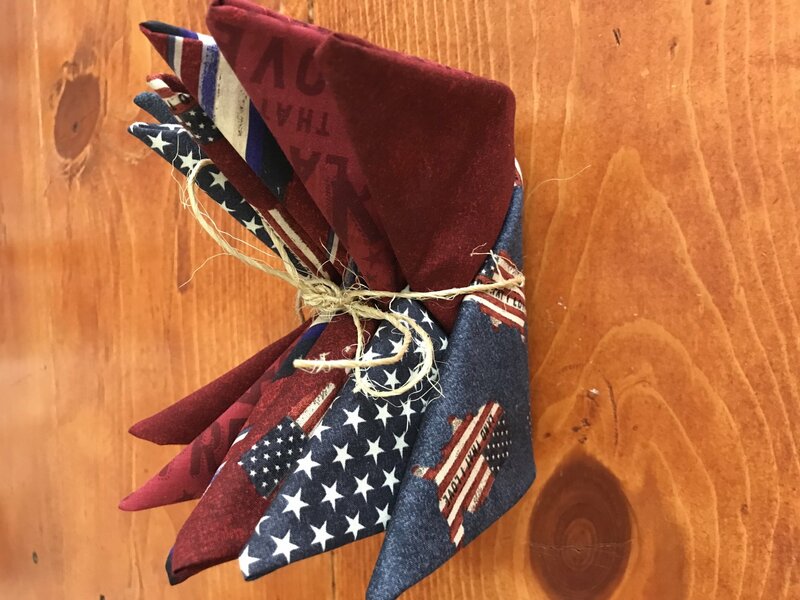 Grab a bundle and a fat quarter bundle today! 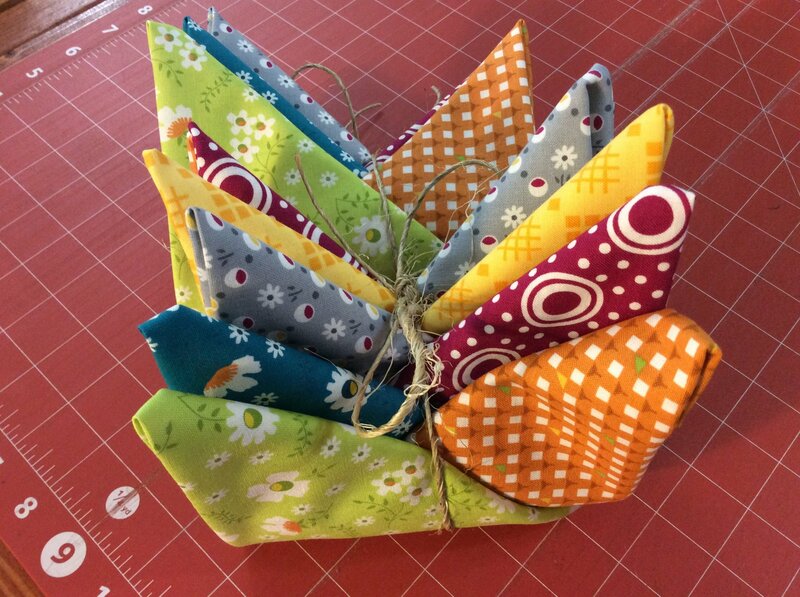 Simply Colorful II Fat Quarter bundle includes 6 coordinating fat quarters from the Simply Colorful line by Moda. Each piece measures approximately 18" x 22". 100% cotton. 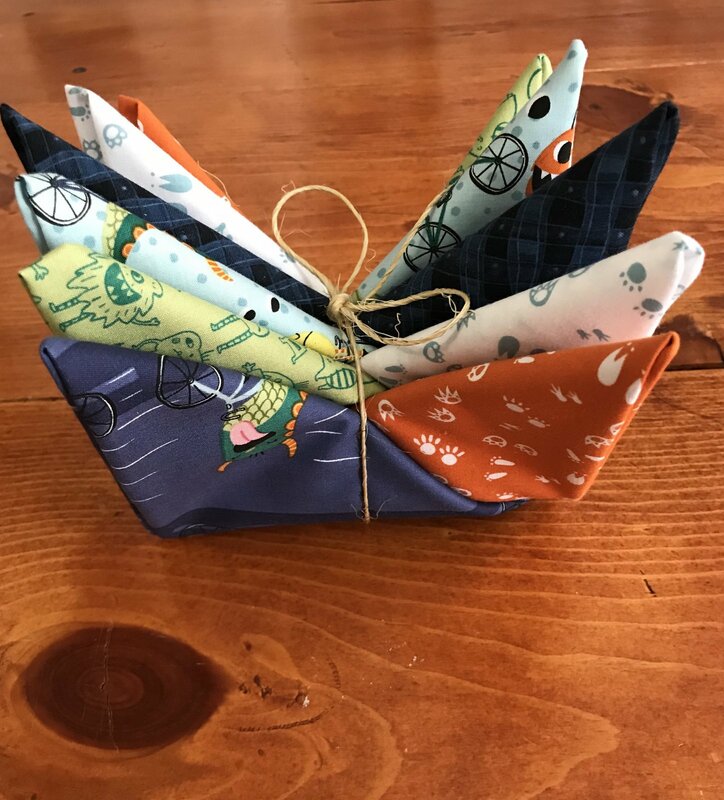 Perfect to pair with your favorite fat quarter friendly pattern! 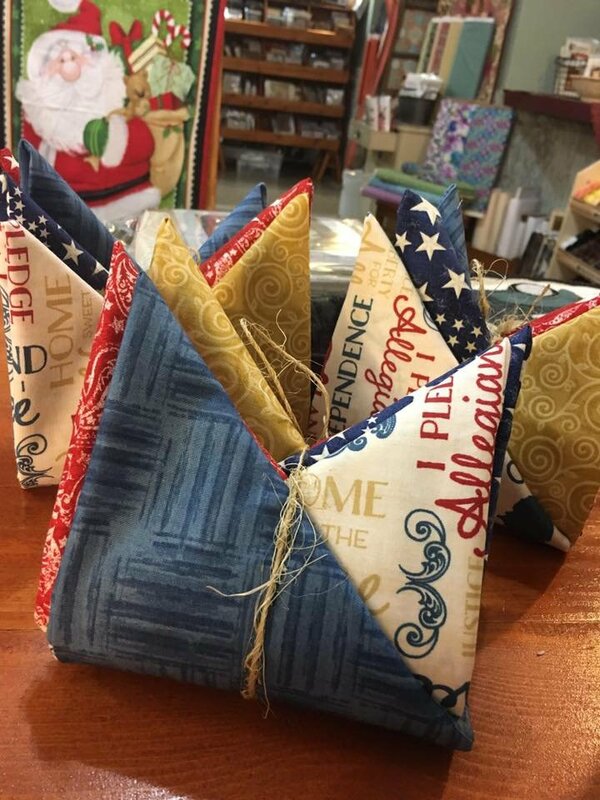 Star Spangled Liberty by Marcus Fabrics, Fat Quarter Bundle is a collection of two creams, two reds and two blues. 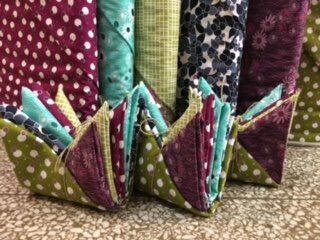 Fat Quarters are approximately 18" X 22". Super Bad Monsters fat quarter bundle includes five prints from the Super Bad Monsters line and one coordinating blender. Fat quarters approx 18"x21". 100% cotton. 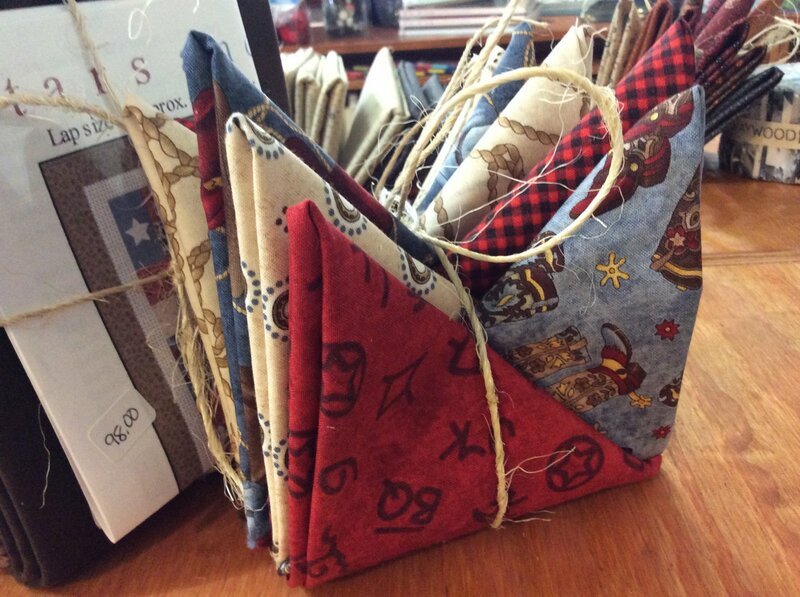 Western fat quarter bundle featuring 6 fat quarters of Hold Em Fold Em by Maywood Studio. 1 fat quarter approximate 18" x 22". 100% cotton. 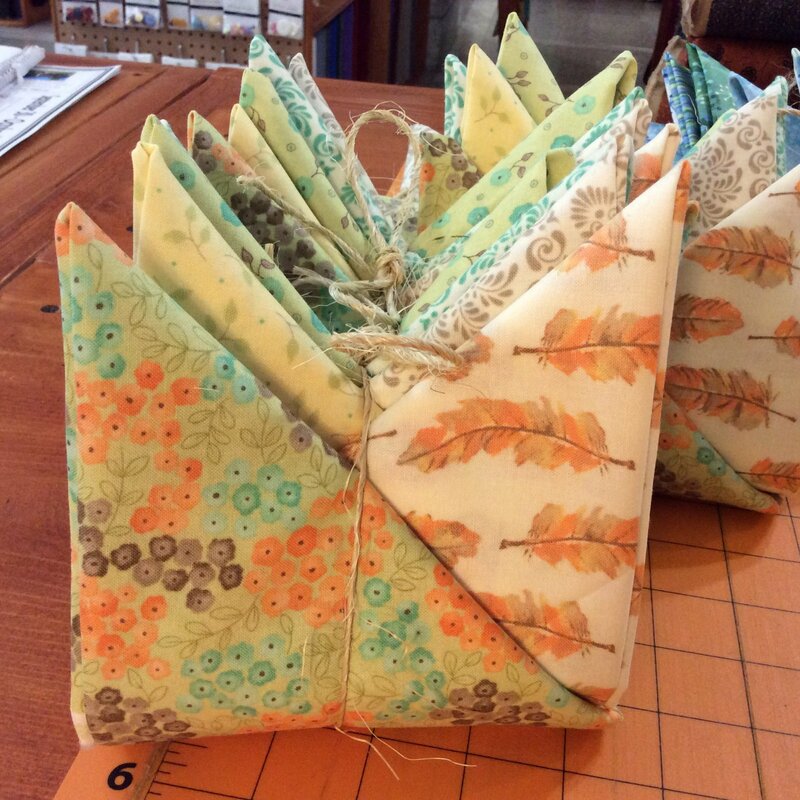 Six fat quarters from the beautiful Winter Blessings line by Kim Diehl. 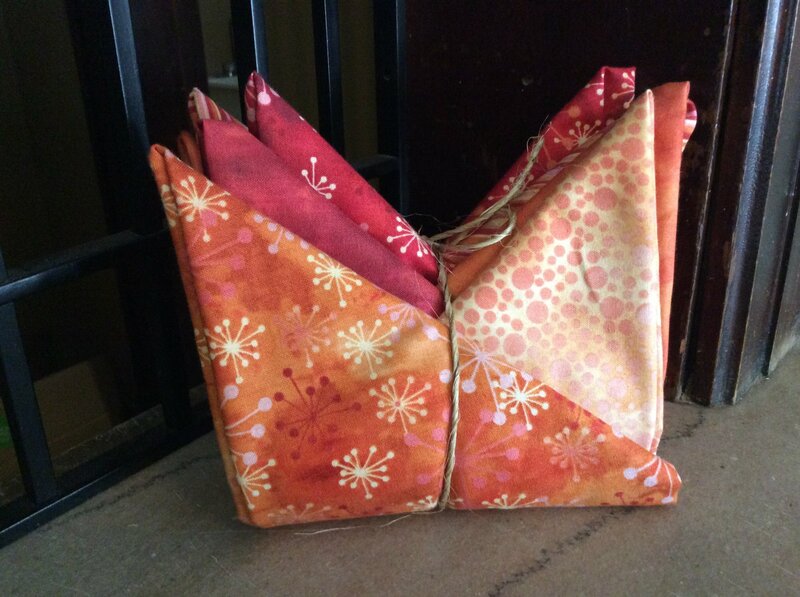 Each piece measures approximately 18" x 22". 100% Cotton.